The US stocks pared early gains to end mixed on Thursday, as investors tried to digest a batch of mixed economic reports.The Dow Jones Industrial Average rose 23.38 points, or 0.14 percent, to 16,374.76. 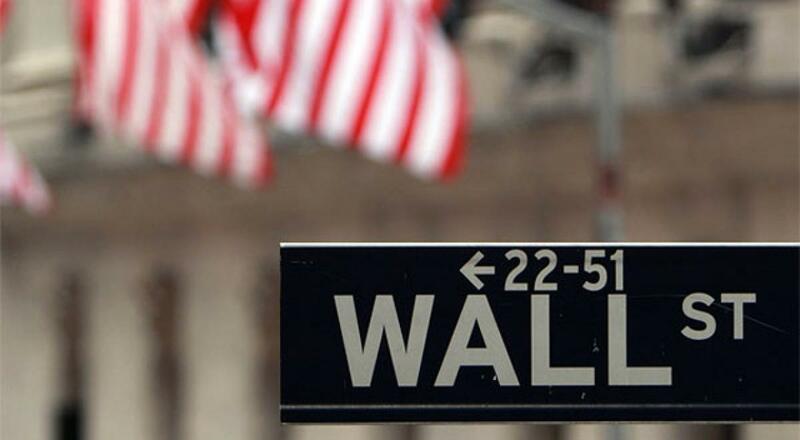 The S&P 500 inched up 2.27 points, or 0.12 percent, to 1,951.13, Xinhua news agency reported. The Nasdaq Composite Index lost 16.48 points, or 0.35 percent, to 4,733.50. The US international trade deficit in goods and services decreased from $45.2 bn in June to $41.9 bn in July, largely in line with market consensus, the Commerce Department reported Thursday. In the week ending Aug. 29, the advance figure for seasonally adjusted initial jobless claims increased 12,000 from the previous week's revised level to 282,000, exceeding market estimates of 273,000, said the US Labour Department on Thursday. The four-week moving average was 275,500, an increase of 3,250 from the previous week's revised average. Meanwhile, the US Non-Manufacturing Index registered 59 percent in August, 1.3 percentage points lower than the July reading of 60.3 percent but above market expectations of 58.5 percent, said the Institute Supply Management (ISM) in its monthly survey. "The drop to 59.0 was smaller than expected. The domestic economy is holding strong in the face of a stronger dollar, lower oil prices, and weakening global demand, especially in the services sector," said Jay Morelock, an economist at FTN Financial. "The Fed must weigh the strength of the domestic economy against the prospects of a weakening global economy as they decide whether to raise interest rates in two weeks," he added. Overseas, the European Central Bank (ECB) on Thursday decided to leave key interest rates unchanged and increase the issue share limit. The ECB decided that the interest rate on the main re-financing operations, on the marginal lending facility and the deposit facility would remain unchanged at 0.05 percent, 0.3 percent and 0.2 percent respectively. ECB President Mario Draghi announced the issue share limit would be raised from the initial limit of 25 percent to 33 percent. This would allow the central bank to purchase more single issue bonds. European shares surged on the decision Thursday, with French benchmark index CAC 40 jumping 2.17 percent. The CBOE Volatility Index, often referred to as Wall Street's fear gauge, fell 1.84 percent to end at 25.61 Thursday. In other markets, oil prices gained Thursday as the ECB pledged to keep monetary policy loose. The West Texas Intermediate for October delivery moved up 50 cents to settle at $46.75 a barrel on the New York Mercantile Exchange, while Brent crude for October delivery increased 18 cents to close at $50.68 a barrel on the London ICE Future Exchange. The US dollar rose against most other major currencies Thursday on the ECB decision. Gold futures on the COMEX division of the New York Mercantile Exchange extended losses Thursday as the US dollar continued to strengthen. The most active gold contract for December delivery lost $9.10, or 0.80 percent, to settle at $1,124.50 per ounce.